Vendors may unload at the Event Entrance on the back side of the hotel. Vendor Info packets and lanyards with vendor passes will be available Saturday Morning at the Ticket booth. You Must Check in prior to setting up. Sunday check in time is 15 minutes prior to the show opening. Reservations for vendors: $89 Room rates-(Reg $159) ~ Please mention you are a vendor in the show, and reserve your room prior to the 10th of the month. Note: Floorplan is not to scale and subject to change up to day of the show. ____Healing Booths 6'w x 10'd $200 for massage tables, only approved products sold. Fax to 507-334-8275 Payment due when application is submitted. No Refunds. Application deadline, Always by the 1st of the Month prior to the show. All booth spaces are on a first-come, first-serve and juried basis. 1. Total Payment is due at time of application submission. Should the exhibitor decide to cancel or terminate this agreement the entire fee collected for the space shall be forfeited by the applicant as cancellation fee for handling, advertisement and reassignment of the space. Matrix Media, Inc. reserves the right to reject any applicant at any time without reason. 2. Liability for any loss to the exhibitors shall not be the responsibility of Matrix Media Inc or Marriott Hotel. Exhibitors are strongly encouraged to carry business insurance, covering trade shows and fair, which insures their good and exhibits against loss of damage. Exhibitors are responsible for damage they cause to the facility including labor charges to repair such damage. 3. Exhibitors must conform to all local law enforcement and fire codes, health regulations, electrical codes, and other local, city, state and federal laws and regulations. It is the exhibitor’s responsibility to acquire any permits necessary to meet local regulations. All material used in the facility must be flameproof and fire resistant. Incense is NOT allowed. 4. No sublet booth space shall be permitted unless approved by Matrix Media Inc prior to the show. Matrix Media Inc reserves the right to determine the eligibility of any product, company, and/or service involved in Matrix Media, Inc. events. The exhibitor package includes 3 badges only. Additional people working in the booth will need to purchase daily tickets to the event. Electricity/Internet will not be provided unless indicated on the application and pre-paid at the time of application submission. 5. Aisles and exits shall remain clear, clean and free of debris and obstacles. Easels, signs, tables, etc., shall not be placed outside allotted booth area. Do not nail, screw, staple, pin signage to walls. Tape is fine. 3M Adhesive Hooks work well for heavier sings and banners. 6. It is the responsibility of the exhibitor to supply extra tables, table coverings, etc. at the expo. Tearing down early is prohibited. Please keep your space clean and clear of debris. Set up is Friday after 3pm. 7. Matrix Media Inc retains the right to cancel this agreement and reschedule the expo due to venue damage or any act of God. The exhibitor agrees not to hold Matrix Media, Inc, The Marriott Hotel, its employees or successors liable for damage or injury caused there. I have read and agree to the above contract and understand this is legally binding. Friday after 7:00pm for some vendors who need more set up time. Loading is through the Event Center Entrance doors behind the motel. No table skirts or pipe & drape along the walls-limited pipe & drape provided. Body Beautiful Expo-reserve hotel room before 10th of the Month. What type of signage and or handouts do you have? Enhance your show presence at the Expo by holding your very own speaker/presenter session educating potential customers about your products & services. Session cost is $25 each. Sessions are 45 minutes each & time slots are assigned on a first-come, first-serve basis. You must vacate the room on time. You may request a specific time slot but we will confirm actual time slots with you approximately two weeks prior to the event. Limit one session per company per day. These are held in a separate room from the Expo. Speaker registration includes door sign, promotion in marketing materials, promotion on website. Minimum charge is $5 per ticket, We split the door. Required is a professional photo in a jpg format. You are required to help promote your show. **Note: Photo may be emailed to valc@hickorytech.net. Photos must be high resolution – minimum 300 dpi. Any company or its representative presenting false, misleading or disparaging information about products or companies may be subject to cancellation without refund. Any company or its representative making claims about products or dispensing literature that cannot be substantiated with significant scientific data may be subject to cancellation without refund. Speaker registration forms will be processed in the order received. No refunds. Speaker Acceptance, Release & Consent Page 2 Signing this document constitutes a binding legal agreement. Speaker agrees that upon acceptance of this contract by Matrix Media,Inc. with or without appropriate payment, this contract shall become a legally binding contract. The individual signing this document represents that he/she is duly authorized to execute this binding contract on behalf of the speaker. By signing this agreement, speaker agrees to abide by all the terms of this contract, as well as the rules and regulations set forth on the exhibitor agreement, and the Mankato Expo policies in effect to the speaker in writing. By participating as a seminar speaker or presenter, I grant Matrix Media, Inc. (“Sponsor”), Sponsor’s designee and their affiliated companies the right to use the speaker’s name, likeness, picture, voice, biographical information, and written submissions and written and oral statements, for educational, advertising and promotional purposes without additional compensation. Bring your own extension cords & surge protector. Room fee is $25+pp fee. 45 minute total rental time. 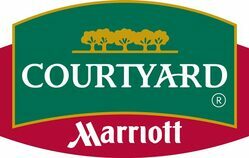 Any projectors, screens, can be rented from the Marriott. Your cost. Limited Lighting control, a microphone is available for this space. Rent Direct from the Marriott. No product sold. Service only. 8 x 10 or 10 x 8 Includes 2 chairs, and 2- 8' Tables, No Table cover.